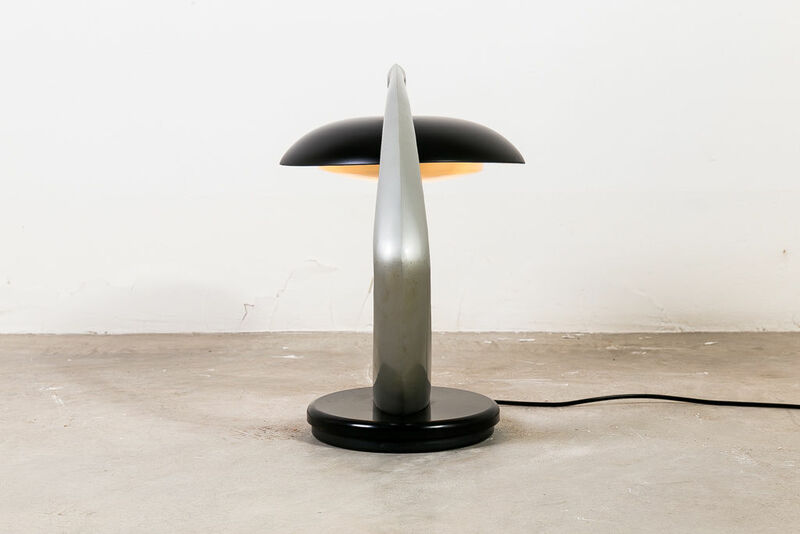 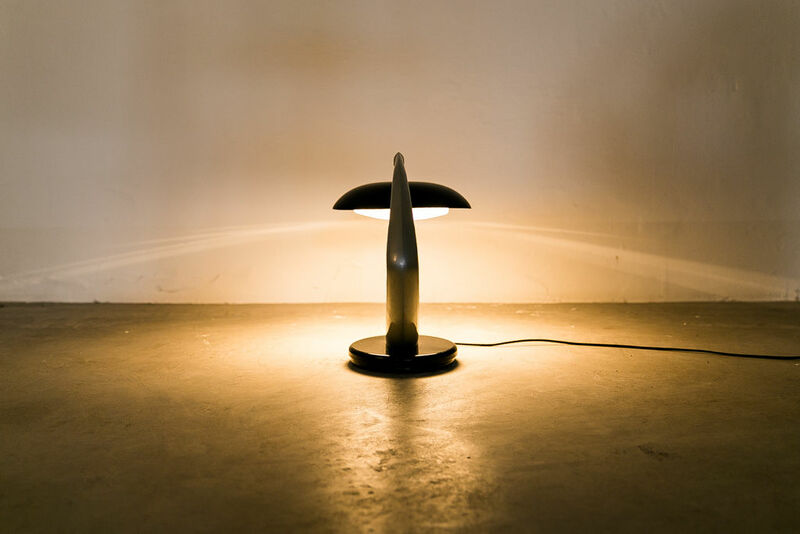 Boomerang Table Lamp By Fase | Castorina & Co. 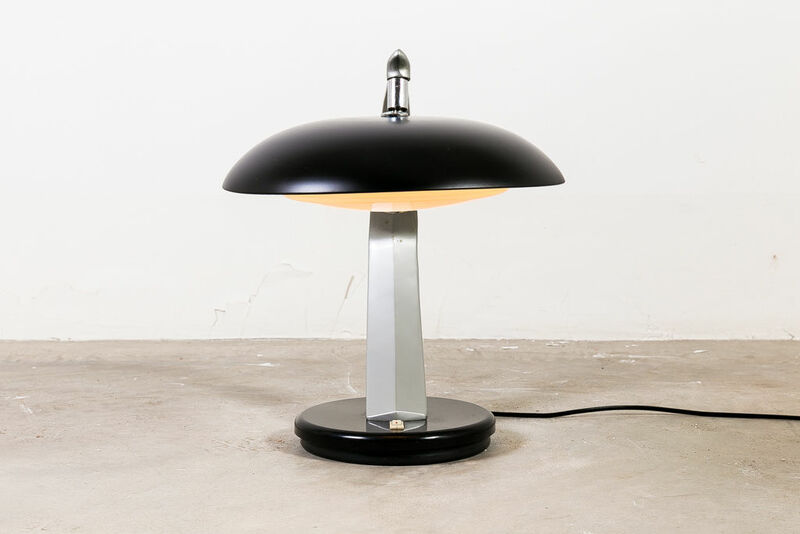 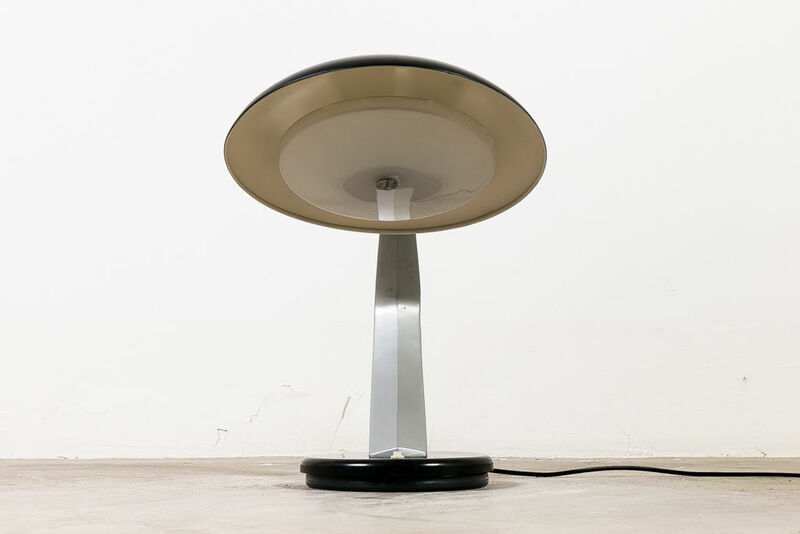 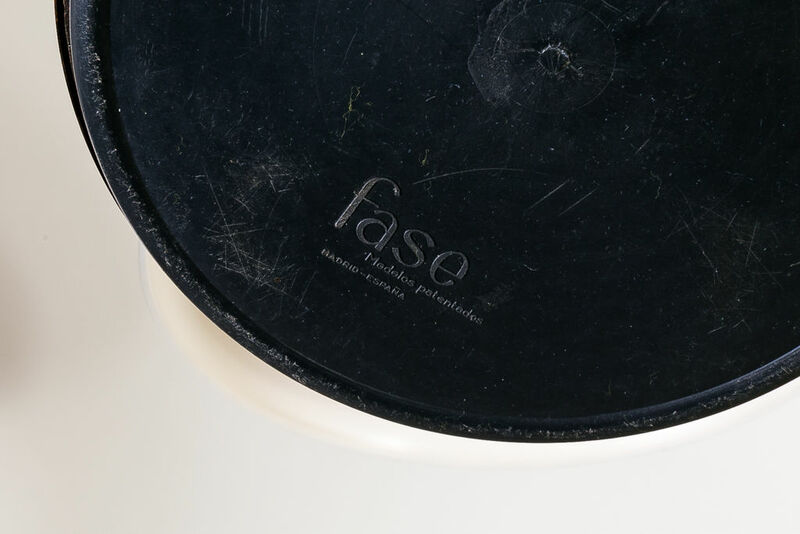 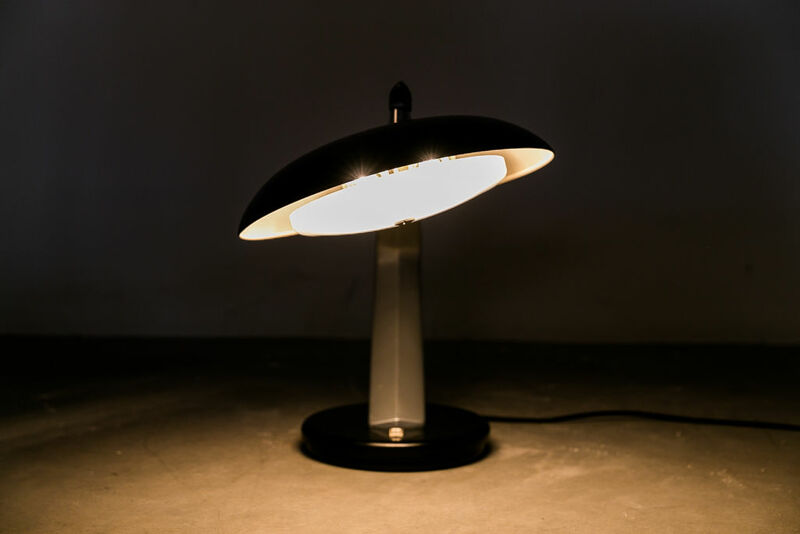 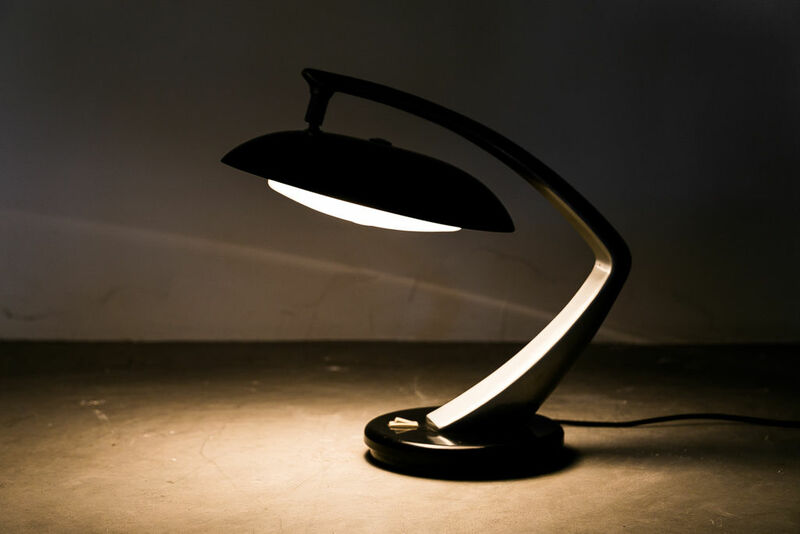 Desk lamp designed and manufactured by Fase, Madrid, 1960s. 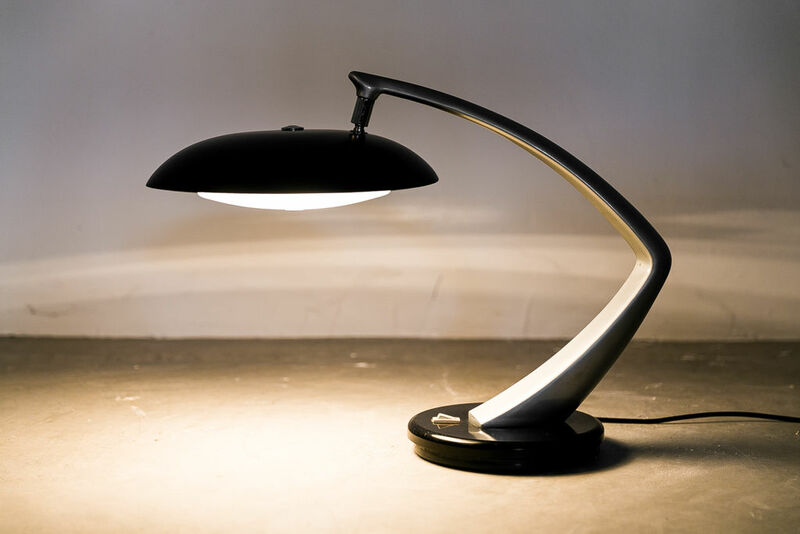 It Features black and clear grey enamelled steel and has original trade mark engraved at the base. 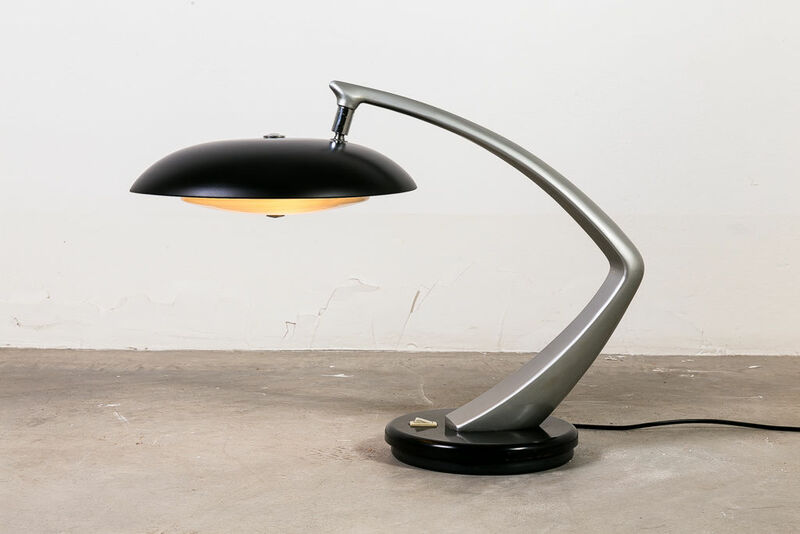 It has swivel base, adjustable lamp shade and 2 bulbs.